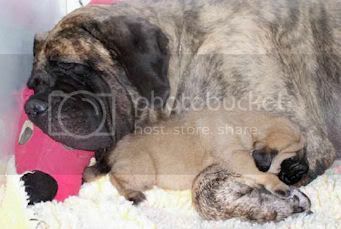 Looking to buy Mastiff memorabilia, old books, pictures, paintings, etc. Very good idea Steve - I will pin the thread to the top! Looking for a Giant Crate and pretty show leads. This thread is a really great idea please excuse my humor. A copy of Dee Dee' book at a price I can afford would be awesome! Perhaps if someone owns the book, we could rent it. Say $20 for 4 weeks. Pay for shipping both ways. Or make arrangement when/if they are at a show for people to read a few chapters while they are there. That person would need to put trust in who ever they would loan it to and would easily make the $600. There are only a few copies on the inter library program, I've been trying for months to get a copy. I have a Colossal crate I no longer need. Used, drop-pin style, single door. No pan. We never bought the pans - we make our own with plywood, carpet and pad. The plastic ones just fall apart anyway. Located in Ohio. This is an older, very heavy crate. I don't think it's Central Metal, but can't remember the brand for sure and don't want to mis-state it. This is the 45" tall, biggest you can get crate. I know I paid well over $200 for it about 5 years ago. Used Jog-a-dog. This is the extra heavy, extra large one - 24" wide, seven feet long. It is several years old but works fine.. I haven't used it in a few years. It is in my garage.. you would have to pick it up.. absolutely no shipping. It is very heavy - i an guessing at least 200 pounds. Cost me $3600 new,, will sell for $950. For all the horse folks out there, I might have to sell my old "Jumbo" saddle. It has been sitting in my garage unused for over 10 years now. It has the "Jumbo" Elephant on it. I will try and get pictures when I get home. They are somewhat hard to find but I don't know what to ask for it, any info would be appreciated. 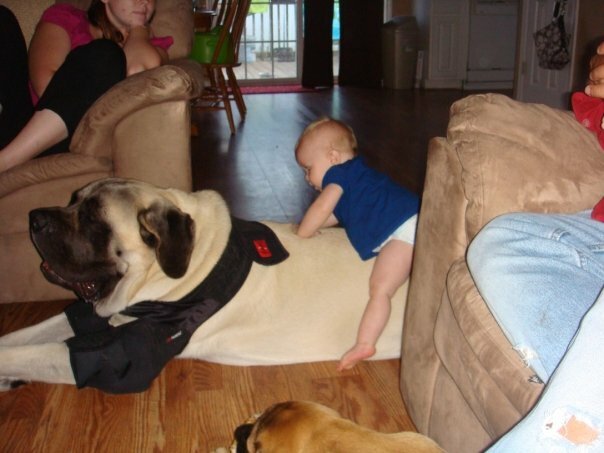 Looking to buy Mastiff memorabilia, antiques, paintings, drawings, etc. Rare Gordon book on the breed. A friend of mine is after an original print of Her Guardians. Any help would be appreciated. 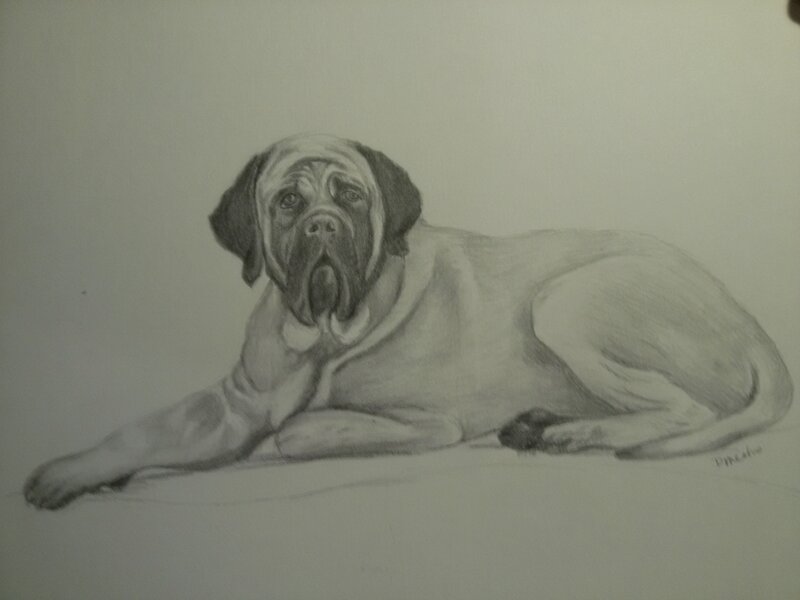 If anyone is interested in a pencil sketch of their pet we offer the best prices for quality work. We can do head shots on 5X7, 8X10, and 11X14. On the 8X10 and 11X14 we can do full body and on the 11 X14 we can do 3 dogs head shot only. All include black matting. 5X7's are $25.00, 8X10's are $40 and 11X14 are $60. For each drawing you purchase your name goes in for a free drawing on 8X10. Drawings are done after we sell $500 and this is often. Your name remains in the drawing if you are not chosen for the next drawing or names are only pulled if you are a winner. Shipping and handling charges apply. The turn around time is 4 weeks from the day we receive your picture and it is approved. 50% of your total is due prior to shipping and the balance is due 30 days after pictures are shipped.